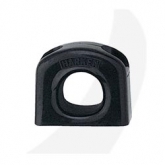 Harken hardware is designed to fulfill intended functionality dependably without disregarding aesthetics. A Harken deck organizer can be used on a small boat to control aft lines from the cockpit, and organizers are available in single, double or triple styles as well as stacked configurations. Deck organizers keep multiple lines relegated to a small space without obstructing access. They can also be placed on the aft side of the stopper bank to route lines to the winch on the far side if the need arises. Big boat deck organizers can keep up to six lines secure and are ideal for use with winches, halyard stoppers or any purpose requiring a cheek-mounted, multi-sheave lead block. 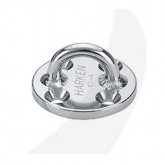 Harken also produces stainless steel padeyes and eye straps that are attractive as well as functional. 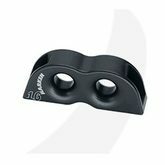 Use eyes traps as light-duty lash-down points, fairheads or block mounting bases. 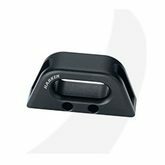 Padeyes make excellent attachment points for reefing blocks or staysails, and they are also frequently used for mounting blocks.